If you’ve only been smoking tobacco for a year or so, you’re in luck. Kicking your smoking habit is easier now than it will ever be again. For people who spend decades addicted to tobacco, quitting is something that can takes years and hundreds of attempts. And even after a successful end to the habit, one bad day can send an old smoker back to the cigs, erasing years of hard work in an evening. For you, though, things will be easier. If you’ve spent a year or two hooked on cigarettes, it will still be extremely difficult to quit, but once you get off that train, a few solid months may separate you from nicotine like a brick wall. Here are a few reasons to quit before things get out of control. You never get younger. Quitting smoking gets harder as you age. Much harder. Not only will you be older and have less energy and willpower, you’ll have been addicted longer, and longer spans of addiction make it harder to quit. When you’re young, you have more energy to fight cravings, you can outsmart your triggers, and you can more easily make lifestyle changes to keep yourself out of harm’s way. You’ll also probably have fewer other health problems to worry about, meaning you can focus on quitting smoking. Stop cancer before it takes hold. If you wait, it could be too late. You know deep down you’ll need to quit one day. Do it now, while your lungs are still pink and stretchy. If you’ve only been smoking for a little while, there’s a pretty good chance you haven’t done any permanent damage. But that good chance of long term health gets worse with each puff. When you smoke, you increase your risks of basically every negative health effect that exists. Cancers, diabetes, Crohn’s, etc. The list of bad health effects caused by long term nicotine use goes on and on. Quit smoking now, while it’s still relatively easy and your health is still good. The longer you smoke, the harder it will be to smoke. For you, the new smoker, it can be impossible to imagine the bizarre strength nicotine exerts over your mind after you’ve been hooked for years. 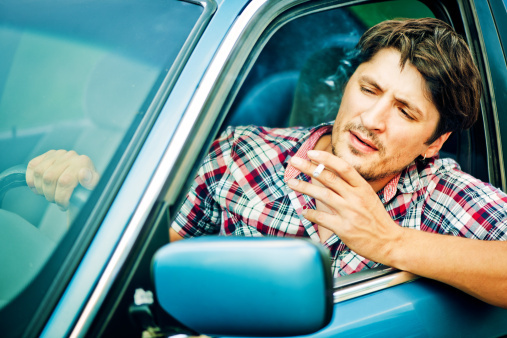 Right now it probably seems like no big deal, but every old smoker started the same way you did—puffing every once in awhile, in certain situations (do you “only smoke when you drink”? ), or on special occasions. Smoking has a way of creeping up on and slowly seducing its victims; like a vampire, cigarette charm their prey into feeling strong, interesting, and good. Don’t fall for this, the oldest trick in the book. Quit now while it’s still (kind of) easy. If you progress, things will get difficult so quickly and imperceptibly that you won’t even notice you’ve become addicted. This is your time. Take it. Quit smoking. Be the first to comment on "Smoking Habit You’ve Recently Developed"